TULSA, Okla. (AP) – A convicted killer already serving life in prison in Oklahoma has been sentenced to an additional 20 years in federal prison for running a drug ring from inside the prison. 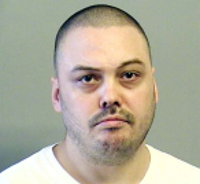 Court records show 36-year-old Slint Kenneth Tate was sentenced Tuesday in U.S. District Court in Tulsa after pleading guilty in June to conspiracy to possess with intent to distribute methamphetamine. Tate admitted in a plea agreement that he used cellphones that were smuggled to him in prison to run the drug operation. Six co-defendants previously pleaded guilty to charges in the case. Tate is already serving life-without-parole for the 1999 shooting death of a Rogers County deputy during an escape attempt. He pleaded guilty in that case in exchange for prosecutors agreeing not to pursue the death penalty.